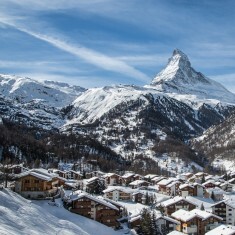 Zermatt | Zermatt | Ecosign Mountain Resort Planners Ltd.
Zermatt is one of the oldest and most well established mountain resorts in the European Alps. 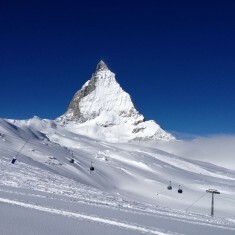 In 1998, Ecosign prepared a master plan for the Zermatt Matterhornbahnen AG, one of the five lift companies that operated in the Matterhorn region surrounding Zermatt, Switzerland. 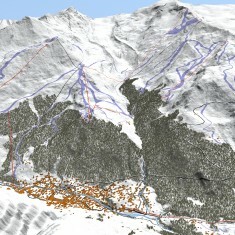 Ecosign thereafter completed master plans for the Zermatter-Rothorn AG and a study of transportation issues in the Village for the Gemeinde (local government) of Zermatt. After completing master plans for these competing lift operation areas Ecosign recommended that the areas consider merging to take advantage of operational efficiencies and improve the guest experience. The five lift companies in Zermatt merged into one company in the fall of 2002 leading and Ecosign was retained to prepare a master plan for the new company Zermatt Bergbahnen AG. Zermatt Bergbahnen AG has also made extensive investments in accessing water for snowmaking use leading to more than triple the amount of snowmaking coverage during the past ten years to over 100 kilometers of slopes with artificial snow making equipment. 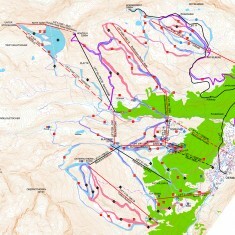 Annual skier days have risen about 75% to 1.4 million ski passes with an additional 430,000 annual summer lift tickets. These investments have been paying off with operating income rising to CHF 65 million and EBITDA of CHF 33 million. The Zermatt Bergbahnen AG is on a very solid track for the future attracting tourists from all over the world.